The iGENEA expert test provides you with the total package in maximum quality and resolution. In addition to the results of the DNA analysis in high resolution, you will also receive the most precise interpretation guide possible. Based on the current state of research, the iGENEA expert is the most detailed genealogical DNA test possible. For the origins analysis, the precise subgroup of your haplogroup, your ancient tribe and your region of origin are identified. You obtain this information for your maternal line or for your paternal line. 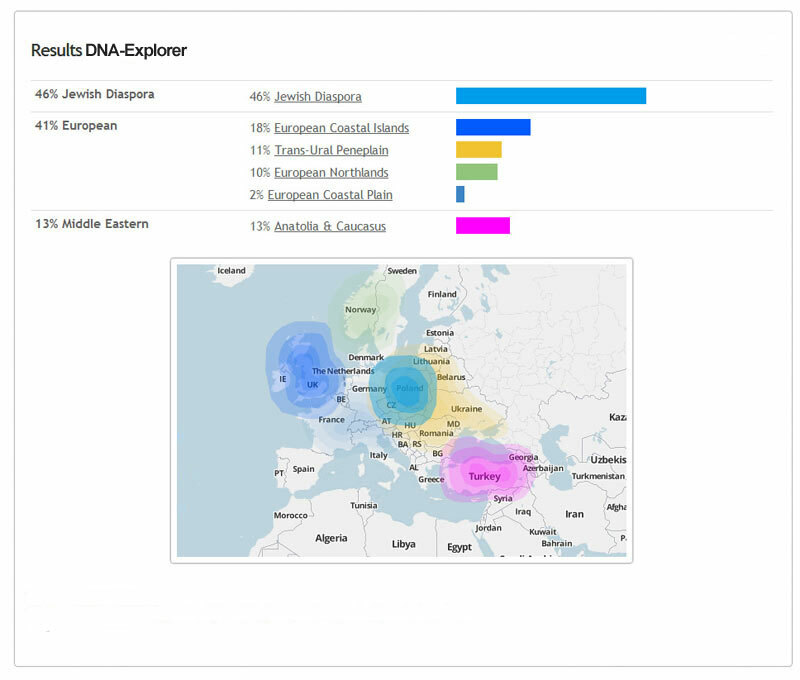 The DNA-Explorer test is also included. 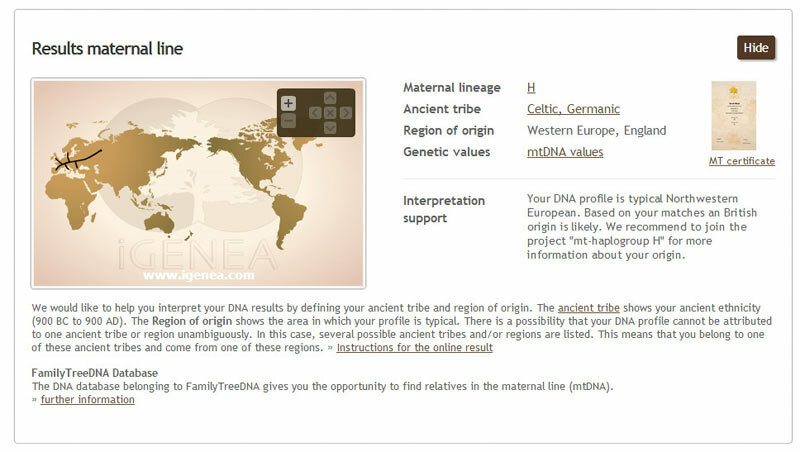 This enables you to discover the origins of all your ancestors as a percentage and by region. You will receive a written result together with a certificate. In your personal online result, you receive three lists containing genetic relatives from the paternal line, the maternal line, and all other lines. This enables you to contact your genetic cousins by email and thus broaden your knowledge of your origins. The entire mitochondrial DNA (mtDNA) is analysed for the maternal line. 500 STR markers and ca. 10.000.000 SNP markers of the Y-chromosome are analysed for the paternal line. In addition, the DNA-Explorer involves testing of some 700,000 SNPs (single nucleotide polymorphisms) in contiguous blocks on the chromosomes 1 to 22 and X.